I'm sorry about letting this topic close, but I haven't been able to get back to my computer that often. Either that, or email replies from these topics aren't always being sent so I don't know when updates occur. Good job!! How is your system running? It seems to be working ok. I was surprised to see the number of bad registry entries that it found along with that C:\Program Files\MyPC Backup folder and C:\WINDOWS\system32\reboot.exe program. 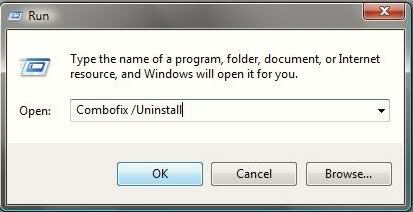 It also did't like the C:\Documents and Settings\All Users.WINDOWS\Application Data\Ask directory. I sometimes do Java updates on this machine and it always wants to install the Ask toolbar by checking the box in the installer dialog. I make sure that it's unchecked, but sometimes it gets by me. Is that Ask toolbar spyware? Does it cause problems? I don't like installing extra toolbars except for the Yahoo toolbar. That one seems to be fine. Good to hear your system seems better.....we still have some work to do so stick with me. There are many bad entries out there but most of what was found on your system were PUPs (Potentially Unwanted Programs). Not necessarily spyware but not far from it either and that is what you were seeing. Most of them come from installing other pieces of software and they get installed without you even realizing it. As for Java.....I don't even have that on my system anymore and have not for well over a year with no difference to anything I do. I removed it due to the number of exploits it was getting. I just decided to remove it and I have been just fine. Not saying you should do this as well, but it is a viable option. I'll perform these steps later on tonight when I'm home. mRun: [LogitechCommunicationsManager] "c:\program files\common files\logitech\lcommgr\Communications_Helper.exe"
C: is FIXED (NTFS) - 29 GiB total, 7.346 GiB free. D: is FIXED (NTFS) - 76 GiB total, 4.333 GiB free. G: is FIXED (FAT32) - 466 GiB total, 450.404 GiB free. RP370: 12/23/2013 3:14:31 PM - Removed Verizon Wireless Software Utility Application for Android - Samsung. 1/3/2014 5:07:56 PM, error: Service Control Manager  - The Skype C2C Service service terminated unexpectedly. It has done this 1 time(s). 1/3/2014 5:07:56 PM, error: Service Control Manager  - The Logitech Process Monitor service terminated unexpectedly. It has done this 1 time(s). 1/2/2014 10:06:37 AM, error: Dhcp  - The IP address lease 192.168.123.100 for the Network Card with network address 00D0680130CB has been denied by the DHCP server 192.168.123.254 (The DHCP Server sent a DHCPNACK message). C:\Documents and Settings\NetworkService\Application Data\Adobe\sp.DLL (TrojanProxy.Agent) -> Quarantined and deleted successfully. The online virus scan didn't find any threats. The system seems to be ok now. Is there anything else you want me to do?